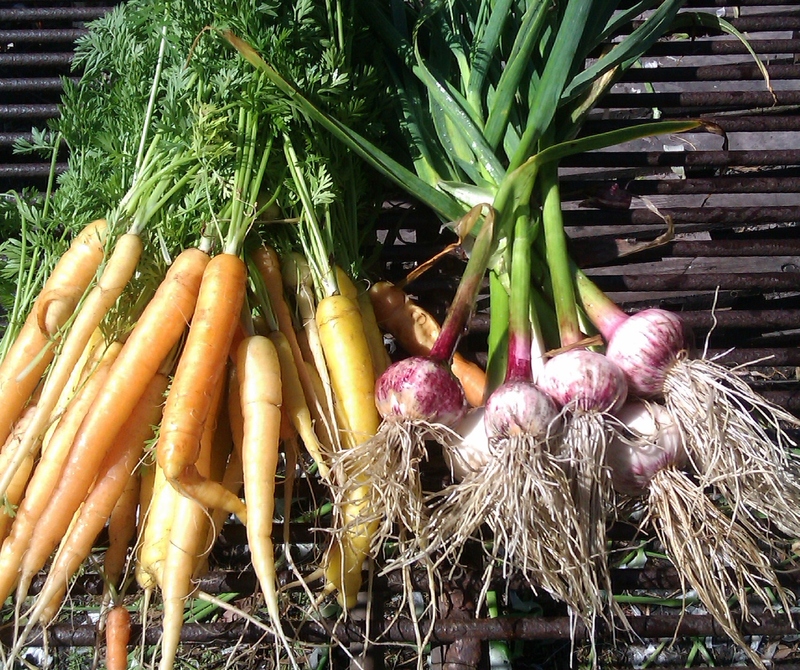 At last the summer crops are in full production. Plenty of new lines to try at the market. Heirloom varieties including beefsteaks – rouge de mamande, brandywine, black krim; Verona orange and ananas noir. Salad varieties: money maker, juanne flamme, tigerella, zebras. eggplants – several types including Lebanese, ping tung long, Listada. Golden nugget and patty pan squash. 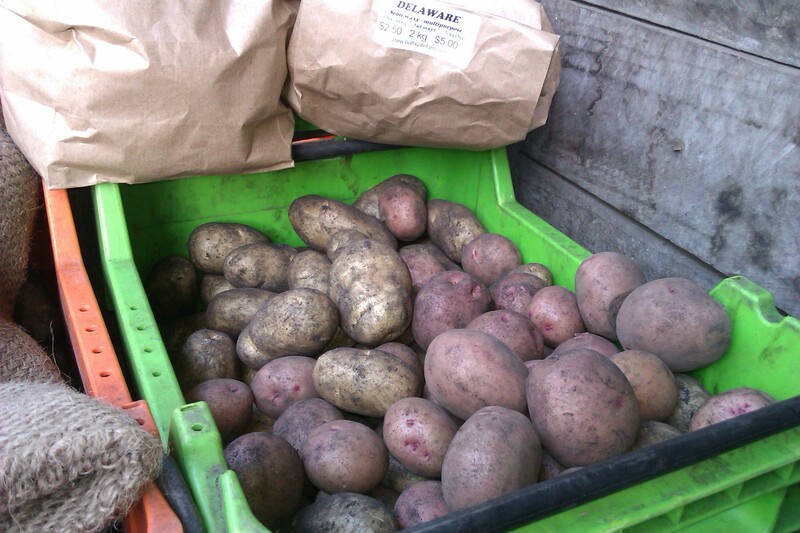 New season early harvest potatoes. Delaware – white skin and flesh. Newly dug so more waxy than usual. This entry was posted in Produce in season and tagged Farmers market, gourmet potatoes, gourmet vegetables on February 20, 2015 by jocelyn2013. 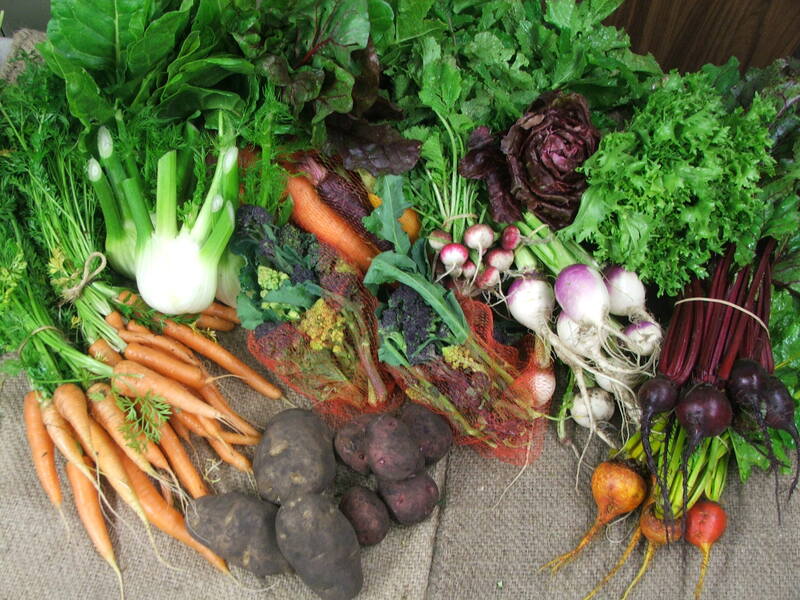 We will have an abundance of winter vegetables this week at Albany Farmers Market. beetroot, standard purple and blankoma (white variety with tender, edible leaves). This entry was posted in Uncategorized on August 22, 2014 by jocelyn2013.